Our first tasting stop of the day was Garrison Creek Cellars — as suggested by our host at Four Seasons RV in Walla Walla. 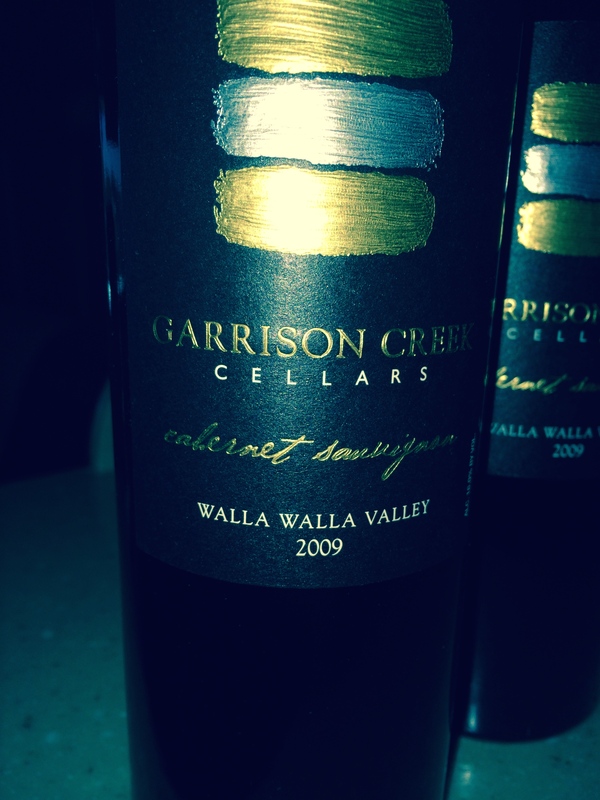 Garrison Creek Cellars is a small, off-the-radar project of a very successful Walla Walla native named Michael Murr. As you can see in the photo, Garrison Creek is headquartered in a grand barn. 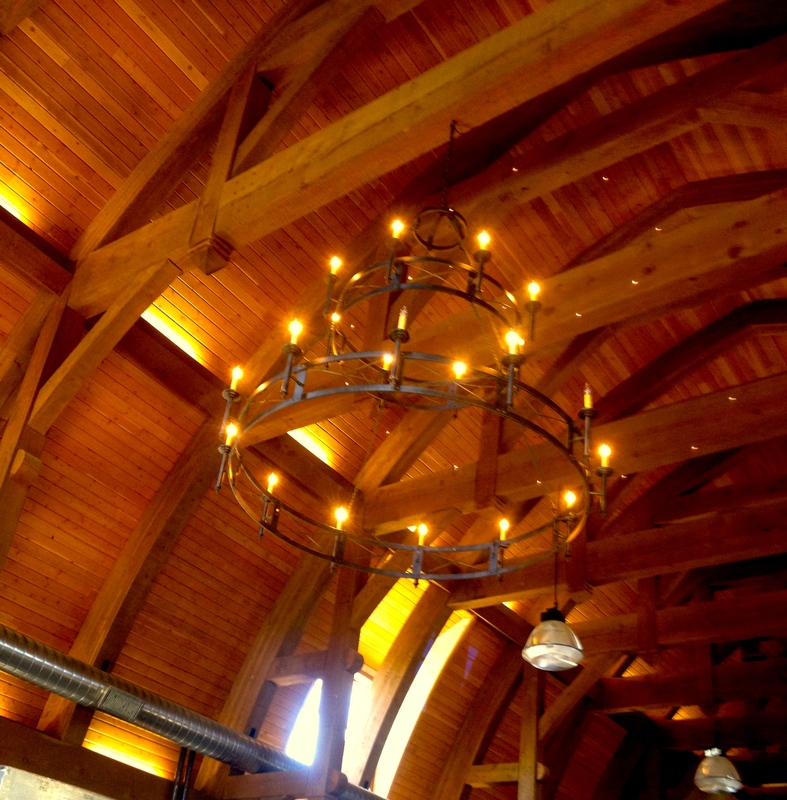 Though the structure is new, it takes its design from a 100 year old barn a few miles away, and a picture of the original hangs in the tasting room. Garrison Creek Winery & Tasting Room. Beautiful space. We were lucky enough to enjoy a private barrel tasting of Merlot and Malbec, both from the 2013 vintage that will be aged in oak barrels until bottling next year. 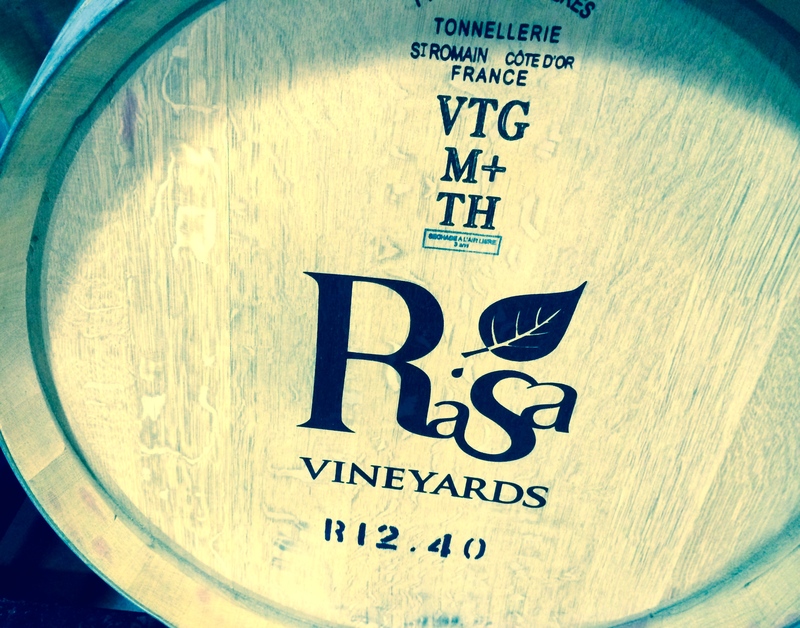 Barrel Tasting – our first & fun! Harrison Clark tasting room & winery work space. The barn/winery sits in the midst of the Les Collines vineyard, and the limited-production estate-only wines source those grapes exclusively. They are given several more years in barrel and bottle prior to release than any winery other than Corliss, and benefit from that softening influence. They are sold through the mailing list and available at a few Puget Sound shops and restaurants, distributed by Pacific Rim. Tours of the winery are open by appointment and highly recommended. We tasted through some barrels and then the new releases, which include a 2004 Cabernet Sauvignon, a 2005 ‘Block 19’ Syrah, and a 2006 Zinfandel. The winemaking is sophisticated and achieves an elegant expression of subdued power. There is plenty of good new wood applied, but with extra years of aging it is nicely polished and somewhat muted. The fruit, as you would imagine, is the best that this excellent vineyard has to offer. Wines sell quickly as the production all is under 1000 cases. Highly recommend an appointment at this great vineyard – easy to get with a phone call. It was my favorite in the area and is one of the region’s hidden jewels. Back upstairs we tasting the most recent offerings – -We were lucky to bring home some of their jewels, including a CABSAV, Zinfandel and Syrah. 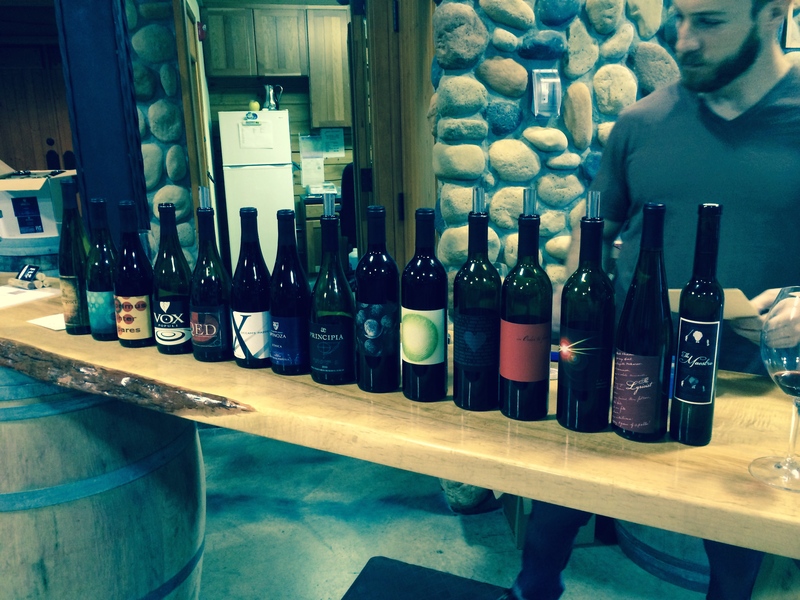 The Walla Walla CABSAVs are not as bold as those in California’s Napa Valley – and we enjoy that! Washington Cabs are a little more versatile an work with a variety of foods. Cabernet Sauvignon from Garrison Creek are fruitier than their Old World cousins. Find flavors of Black Cherry, Licorice and Black Pepper all wrapped together with a dash of Vanilla. The wines tend to have a little bit less tannin and acidity but also have more alcohol, ranging from 13.5-15.5% ABV. In Eastern Washington State, a region that gets just 6-8 inches of rain a year, Cabernet Sauvignon wines made from Champoux Vineyards have received multiple 100 point scores. Zinfandel at Garrison Creek has primary flavors of jam, blueberry, black pepper, cherry, plum, boysenberry, cranberry, and licorice. When you taste Zinfandel it often explodes with candied fruitiness followed by spice and often a tobacco-like smoky finish. Zinfandel is lighter in color than both Cabernet Sauvignon and Merlot. However, although a light-bodied red wine like Pinot Noir, Zin’s moderate tannin and high acidity make it taste bold. Generally speaking, most Zinfandel wines have higher alcohol levels ranging from about 14 – 17% ABV. Merlot here features Red fruits, easy tannins and a soft finish – the characteristics of Merlot wine. and with a smooth finish. Fruity, bright with a silky finish (versus the spice of Zinfandel) make GC’s Merlot a great wine. 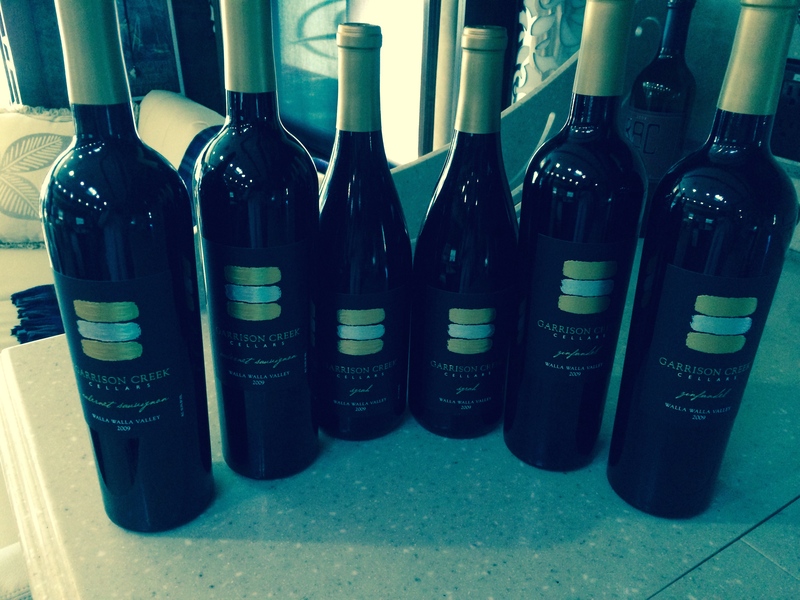 Garrison Creek Wines – Oh My! Next on the tasting docket was Rasa – recommended by Hannah at Reninger & Daniel at Long Shadows. An appointment was necessary due to the small number of staff members on site. Getting an appointment the same day (weekday that is…)was not a problem. Also convenient as Rasa was down the road from Garrison Creek. 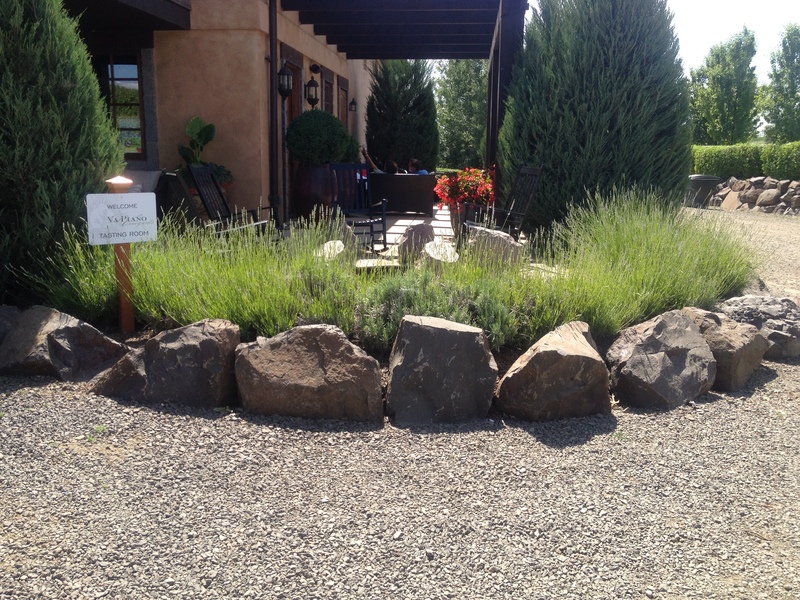 Rasa winery served a very generous tasting – 14 selections. 100% Mourvedre – 2/3 from Monette’s Vineyard in “the Rocks” area of Walla Walla and 1/3 from Alder Ridge Vineyard in Horse Heaven Hills. This wine has a ruby-purple color with a smell of white pepper lavender and dirt. The palate follows through on the aromatic complexity with rich, deep flavors of black cane fruit white pepper and dark chocolate. The long finish has minerality. 2010 QED is a blend of Syrah, 9% Mourvedre, Grenache, and Viognier. With notes of dirt, dark chocolate the complexity continues with notes of cane fruit, white pepper, and dark chocolate. The silky finish completes the wine. We throughly enjoyed our stay at Walla Walla and hope to return in the future. Good restaurants, no snobby wineries (all friendly and happy to pour). Looking for a hosting spot!? 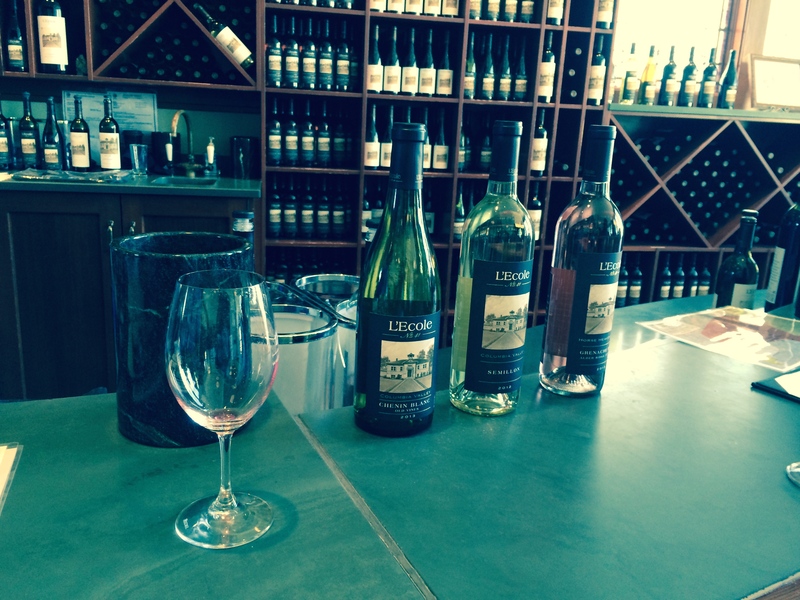 The Wonder of Walla Walla – and the Wines! !